Is Patchell leaving actually that bad? 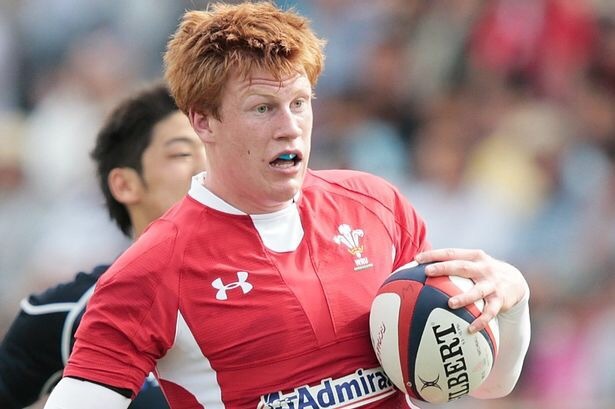 News has broken in the Welsh rugby media this week that Rhys Patchell is being linked with a move West to the Scarlets at the end of the season, when his contract runs out. WalesOnline were the first to break the news, (http://www.walesonline.co.uk/sport/rugby/rugby-news/rhys-patchell-leave-cardiff-blues-10396392), and it was taken up pretty quickly around Welsh rugby fans. It has been a quiet rumour since the end of last season that Patchell might be moving on, but the general consensus was that he’d be offered and sign a new contract at Cardiff. However, it appears he has rejected that contract, which was a very reasonable offer, on the basis that he wants to be assured of a fly-half position, despite having started every game there so far this season, and Steven Shingler performing well in Llanelli. So, if he does move on, what does that mean for Cardiff? Well, we are definitely losing a good player. Rhys has a massive goal kicking range, his pace is handy in defence and attack, he’s a creative outside-half and he’s a proper utility back, with the capability of playing at fly-half, centre and full-back effectively. Having said that, I don’t feel that as yet we’re losing a great player. His goal kicking, despite it being long range, is sometimes wayward. The creativity is a plus sometimes, but often he likes to be involved in the game from a wider position as he doesn’t play like a conventional stand-off. This works well with a southern hemisphere style of play for a player like Quade Cooper, for example, but Cardiff require a more structured outside-half who can take the game by the scruff of the neck from first receiver. Will he become a great player? Well it’s difficult to say at this stage. He’s clearly a good player, and he’s only 22, but the thing is, he doesn’t really seemed to have built on the potential he had when he broke into the Cardiff side at 19. I’m sure he might’ve hoped now to have increased the two Wales caps won on the summer tour to Japan by now, but with Dan Biggar and Rhys Priestland ahead of him since, and Gareth Anscombe and Matthew Morgan selected ahead of him at the World Cup, it seems Warren Gatland hasn’t been overly impressed either. 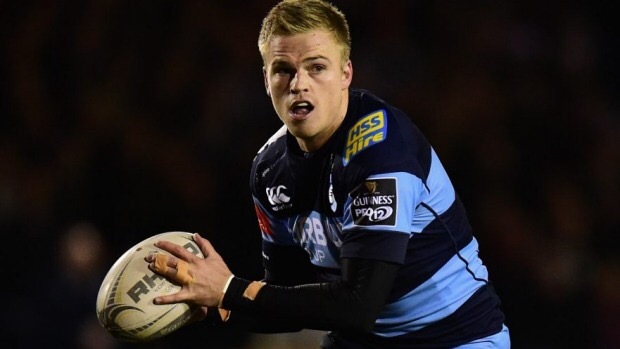 Talking of Gareth Anscombe, he’s kind of the side debate in this story. The main reason Patchell has given for leaving is the lack of assurance he will be played at fly-half, due to Gareth Anscombe. Danny Wilson says that there is no stipulation in Anscombe’s NDC that says he must be played at 10, and that he picks each position on merit. But even if there was, I don’t see why Patchell would be miffed, because when they both play at 10 and 15 they are very fluid anyway. Personally, I think we work best when they both start like that and just play where necessary, keeps the opposition guessing, and means Anscombe can stand at first receiver where he’s best, and Patchell can play wider where he prefers to be. Having said that, if you told me only one could play and it had to be at 10, I’d pick Anscombe, purely for the structure he provides at stand-off and his ability to take the ball to the gain line. I know he didn’t have an easy first season, but with better players outside him and longer for him to settle, I hope to see some improvement. Anyway, back to Patchell, and Wilson has commented on the story this week, making a very good point. While praising Rhys’ performance against Glasgow, where he kicked 20 points, he also said, ‘ultimately what we need and what we want here are players who want to be here and play for Cardiff Blues.’ Quite right too. No matter how good of a player Rhys is, and how disappointing it’ll be to lose a local lad, we don’t want players who aren’t prepared to fight for their place if we want to be competing with the big boys. A big criticism of the Cardiff squad over the last few weeks is the size of it, and maybe losing a player like Patchell would open up a bit of money to spend on a decent tight five squad player, then we can get rid of some of the no-hopers we have there. The last thing to touch on is what will we do without him? It’s a good question as the fact is he has started every game while Anscombe has been away with Wales, and now with his injury. 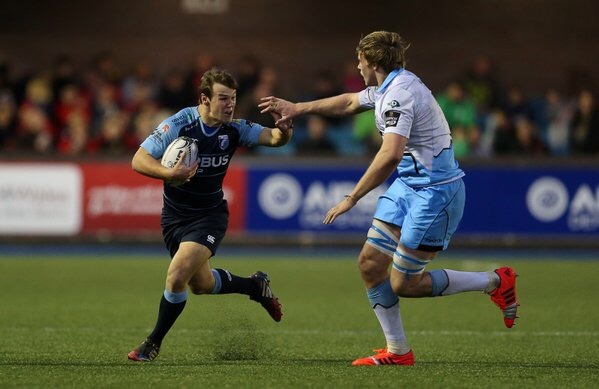 However, the question was answered in the 77th minute of the game against Glasgow, when Rey Lee Lo was replaced by Pro12 debutant Jarrod Evans. Having come through the Blues academy system since he was 14, Jarrod has played at Wales U18 and U20 level, making four appearances at the Junior World Championship last summer. He’s overcome a somewhat injured plighted placement at his local club Pontypridd in the last two seasons, but still made a decent impression and culminated his time there with a Principality Premiership win last season. He impressed enough in an A team friendly against Ospreys to taste first team action against the champions, and with his long term contract will be around for many years. If he can continue his development in the A team, and Patchell’s departure is confirmed, then hopefully we’ll see him in the first team towards the end of the season ready to step up next year. 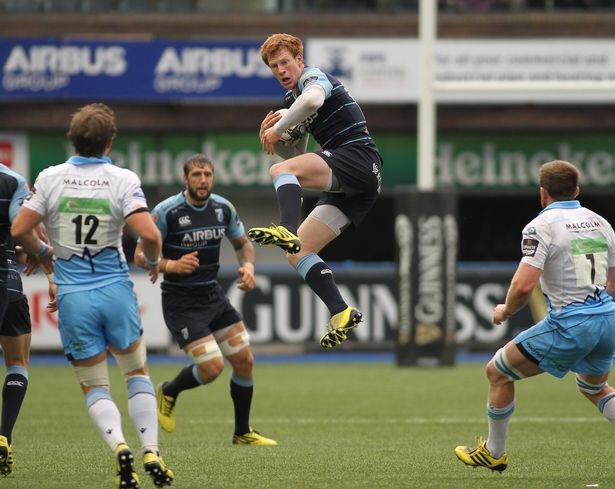 All in all, it’s kind of mixed feelings over Patchell’s departure. If he goes then it’ll be disappointing to lose a good, local player who we have brought through our system and could have been challenging in the points and appearances charts. It’ll also be slightly annoying to lose him to rivals in Scarlets, but, it won’t be the end of the World. Gareth Anscombe is a high quality fly-half, Jarrod Evans is ready to step up, and if Leigh Halfpenny were to return, then full-back wouldn’t need cover. All we can do is wait and see! It’s all up to you Rhys!